RedCliff Ascent is focused on research driven treatment. 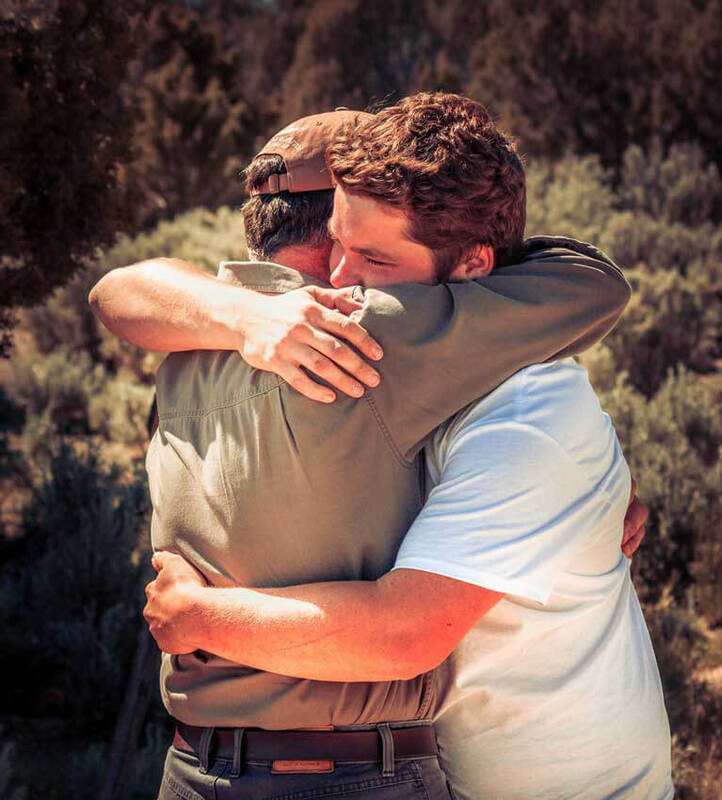 New research proves again the effectiveness of Wilderness Therapy. No longer can the argument be made for the more considerable success in a treatment as usual setting over that of a wilderness setting. Numerous case studies later, research has proven that after completing RedCliff Ascent, adolescents function significantly better than those who do not participate. Seems logical and almost given, and now our data proves those points. Let RedCliff and our research lead the way to create happier and healthier adolescents. The following article was based on research that was conducted by our very own Executive Director S.Demille and our Director of Research and Quality Brett Talbot. 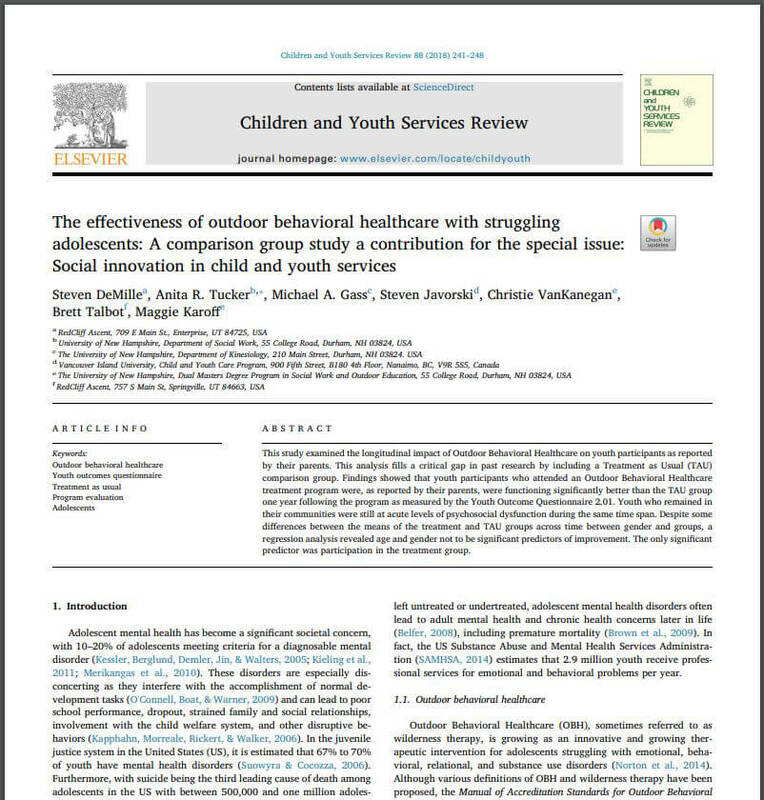 The focus of the study was to compare the effectiveness of outdoor behavioral healthcare (this is what RedCliff Ascent provides) for struggling adolescents with kids who did not participate in this type of wilderness therapy. The research was conducted by using the patented Youth Outcome Questionaire completed by parents of these students. You can take this Y.O. Questionaire here for free! This study fills an important gap in the past research because it included the comparison group of kids who did not participate in wilderness therapy. What does this mean for your son or daughter? Often parents wonder if investing the time and money to help their child by placing him or her in a wilderness program like RedCliff Ascent will actually make a difference long term or if it's just a temporary solution that may or may not work. Our philosophy has been to use the best research methods, outside teams of researchers combined with our own in-house experts to ensure we are providing the best chance and environment for change. It is research like this that build credibility and allow for state and government agencies, insurance companies and families to have a high level of trust in the process of change that can take place for their son or daughter. The following research results showed no significant difference between gender and groups, meaning this can work equally well for your son or your daughter. We welcome any questions you may have and would love to hear from you anytime if you and your family can benefit from Outdoor Behavioral Healthcare from Redcliff Ascent.